MEPs assessed the progress made in Albania, Montenegro and the former Yugoslav Republic of Macedonia on their path towards possible EU accession on Thursday. Three resolutions evaluating the current state of play were adopted by the full House. MEPs praise the country's strong commitment to fully implementing the 2015 Pržino Agreement and the Urgent Reform priorities, which has led to intensified efforts on EU reform. They also call on the national authorities to intensify the fight against money laundering and conflicts of interest, to better shield the judiciary from political interference and address remaining rule of law problems, which continue to pose serious challenges.The resolution was approved by 470 votes to 116, with 46 abstentions. Despite the 30 September consultative referendum (which sought public support to change the country's name to the Republic of North Macedonia) falling short of the turnout required, MEPs nevertheless welcome the decision by the parliament in Skopje to start the constitutional process of implementing the 17 June Prespa agreement between the country and Greece which opens the door to EU and NATO accession negotiations.This agreement sends a much-needed positive signal for stability and reconciliation in the whole Western Balkans region, say MEPs. They also call on the Hungarian authorities to extradite Macedonian ex-Prime Minister Nikola Gruevski to his home country, who, having been convicted there of abuse of power and sentenced to prison, subsequently fled abroad. EP rapporteur on the former Yugoslav Republic of Macedonia Ivo Vajgl (ALDE, SI) said: "Once all conditions are fulfilled, Macedonia's membership in the EU will ensure a promising future for its current and future generations. The EU will also need to deliver on its own promises to a country that has been left in the waiting room for too long and can provide a substantial contribution to the stability, security and progress of South Eastern Europe as a whole". In a resolution adopted by 459 votes to 112, with 62 abstentions, MEPs welcome Albania's steady progress on EU-related reforms and the steps taken to boost the independence and professionalism of the country's judiciary. MEPs commended the significant improvements made by Albania to strengthen its legal and institutional framework as well as the progress achieved in the fight against organised crime. However, they remain concerned over the continued high level of corruption the slow pace and inefficiency of the justice system and the fact that rule-of-law deficiencies and cumbersome regulatory procedures continue to deter investment in the country. 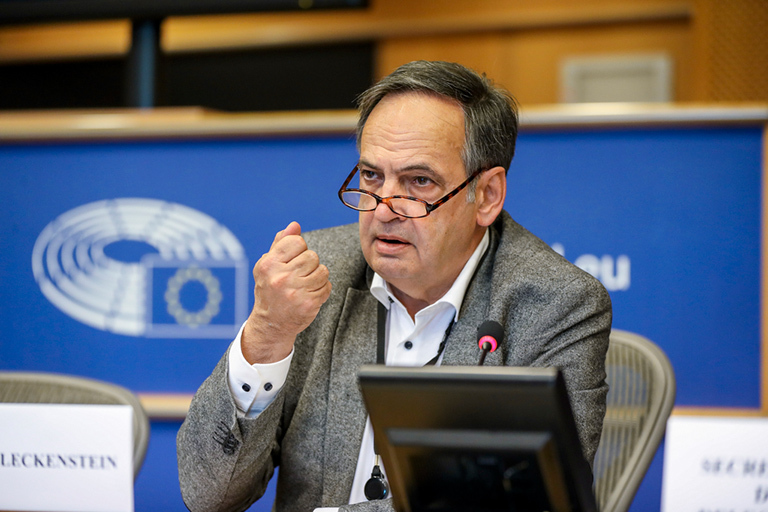 EP rapporteur on Albania Knut Fleckenstein (S&D, DE) said: "After 4 years of being recognised as an EU candidate country, it is about time for the EU to open accession negotiations with Albania. The country has made good progress in justice reform with the vetting process, which was one of the key demands. The fight against corruption is ongoing and with a measure of success. The vote on the report in the plenary today recognises their efforts. It is also a call on the Council and the member states to finally agree on opening accession negotiations with Albania in the next year". While Montenegro is making good progress overall in the EU integration process, MEPs call on the country's political leadership to prioritise tackling problems with the rule of law, media freedom, corruption, money laundering, organised crime and its associated violence. The resolution, approved by 484 votes to 80 with 63 abstentions, underlines Montenegro's efforts for constructive regional cooperation and good bilateral neighbourly relations. MEPs also welcome the ratification of the State Border Agreement between Montenegro and Kosovo, while calling for outstanding border disputes with other neighbouring countries to be resolved quickly. The text finally recalls the strategic importance of Montenegro's NATO accession on 5 June 2017 in ensuring stability and peace in the Western Balkans. MEPs share the European Commission's assessment that, with strong political will and sustained progress, Montenegro could potentially be ready for EU membership by 2025. EP rapporteur on Montenegro Charles Tannock (ECR, UK) said: "Today's report highlights Montenegro's strong overall progress and is positive about its general direction of travel. With such achievements, however, come greater responsibilities. In this regard, the Parliament has clearly laid out its concerns about media freedom in the country, and the need to intensify the fight against corruption and organised crime. This is my last report as Montenegro rapporteur, but I wish Montenegro well in the future and have no doubts about its successful eventual path to EU membership."